Seven years before the events at the focus of the series, one hundred orphans from Japan are sent to different parts of the world to become a saint of Athena. The story focuses on one of these orphans called Seiya. He is sent to the Sanctuary in Greece to become the Pegasus bronze saint. 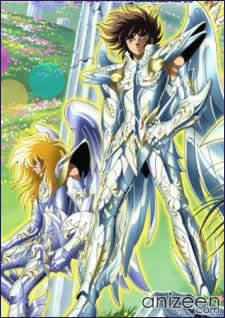 After seven years Seiya becomes the Pegasus saint and returns to Japan to find his older sister. Because his sister disappeared the same day Seiya went to the Sanctuary, Saori Kido, the granddaughter of the person who sent all orphans to train but died a few years ago, makes a deal with him to go to fight in a tournament called the Galaxian Wars where the orphans who survived and became bronze saints must fight to win the most powerful cloth: The Sagittarius gold cloth. If Seiya goes to compete there, Saori would start a search to find the sister of Seiya. 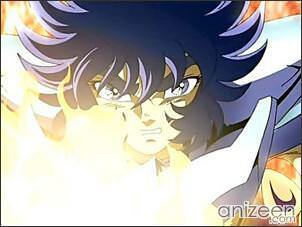 During the series Seiya becomes the partner and friend of the other bronze saints: Shun, Shiryu and Hyoga. As the myth of the saints they must fight together to protect the reincarnation of Athena from any danger. 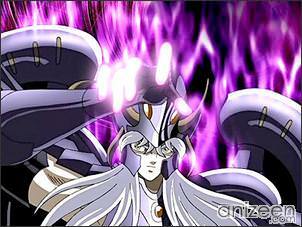 In Saint Seiya: The Hades Chapter – Elysion, after the 12 Gold Saints sacrifice their lives to destroy the Wailing Wall, The Bronze Saints enter the deepest realm of the Underworld, Elysion, where they face off aganist Hades’s two most powerful servants: The Twin Gods, Hypnos and Thanatos, before they can reach Hades for the final battle. After the sacrifice of the 12 Gold Saints, and for the sake of Athena the bronze saints have entered the deepest part of the Realm of Hades, the Elysion. There they will fight with the minion Gods of Hades: Hypnos and Thanatos before they reach with the final battle against Hades. 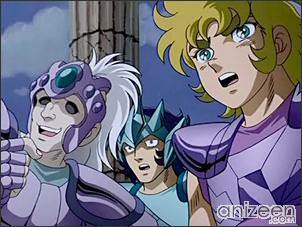 Seiya, Shun, Shiryu, Hyoga and Ikki reach Elysion. There, they fight Thanatos and Hypnos. However, after the twins are defeated, Hades wakes up in his own body. He fights the five Saints at once, receiving few damage to his Surplice. 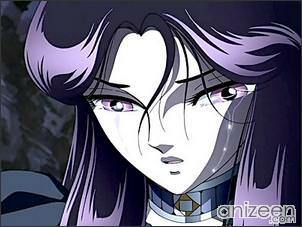 When Seiya asks why Hades’s eyes are so sad, Hades sees Tenma in Seiya. Athena joins the battle and duels Hades. Seiya, trying to protect her, is gravely wounded by Hades’ sword, leaving him cursed, with his Cosmo depleted and confined to a wheelchair. 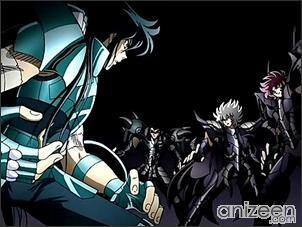 Shun, Shiryu, Hyoga and Ikki concentrate their cosmos into Athena’s Victory Staff. She throws her weapon into Hades and kills the underworld god. Pegasus Seiya is one of the 88 mythical warriors that have served the goddess Athena during ages, protecting justice and peace on Earth, and are known as “Saints, the bringers of hope.” As a Saint, Seiya dons a radiant and powerful armor of divine origins known as Cloths, which represent the constellation of Pegasus. 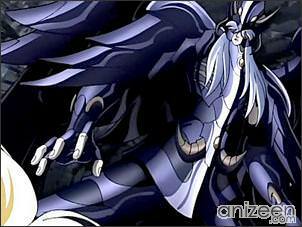 He also possesses a incredible strength drawn from their guardian constellations and an inner essence called Cosmo. 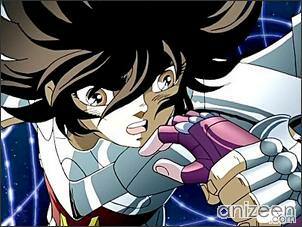 Seiya has also appeared in several pieces of Saint Seiya media, including the featured films of the series, the video games and other manga of the series. Dragon Shiryu is known as the calmest and most collected . 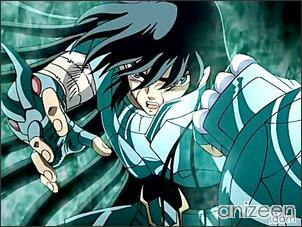 His sheer physical strength is the greatest of the bronze saints, with perhaps the exception of Phoenix Ikki. This is reflected in his ability to have won numerous battles without his Dragon cloth. Shiryu trained at the Five Old Peaks in China to obtain the bronze cloth of the Dragon constellation, and his mentor was none other than senior gold saint, Libra Dohko. 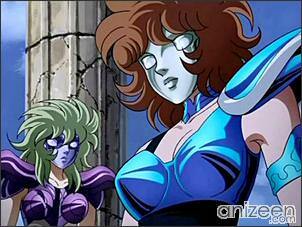 Cygnus Hyoga appears calm, collected, and unemotional. Beneath the surface, however, he is passionate and devoted to his ideals. 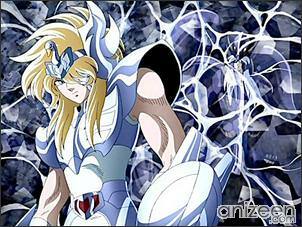 As a saint born under the Cygnus constellation, Hyoga is able to control and manipulate ice and snow however he pleases. It is also implied that he is the first to wear the Cygnus Cloth in 10,000 years, as the cloth was previously concealed within an iceberg before Hyoga retrieved it. 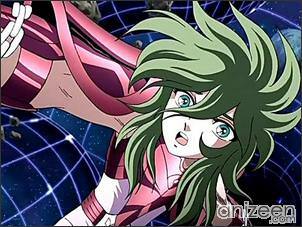 Andromeda Shun is the official Bronze Saint of the Andromeda constellation. He is a merciful soul by nature, and a firm believer in solving problems without causing bloodshed. This creates a sharp contrast between himself and the rest of the Saints: Whereas they will not hesitate to battle when the situation demands it, Shun only allows himself to fight if it’s an absolute necessity, or when his almost endless patience wears off. When any of these things happen, Shun becomes an extremely vicious fighter. Phoenix Ikki is officially recognized as a bronze saint, his base power easily places him well above most silver saints, and his reputation as a powerhouse is common knowledge among his peers and fellow Bronze saints. Even as a child, Ikki was known as the toughest kid of the 100 orphans, and would often defend his delicate younger brother Andromeda Shun from the other children. Ikki’s personality is drastically different than his fellow bronze saints. He is very unlike his younger brother, who is almost the opposite of him. Hades is one of the most powerful deities, being Zeus’ brother. As usual, he uses an avatar when he returns to Earth, but it must be the purest soul on earth. Hades stores his mythological body and his Surplice in Elysion, and is kept in a marble tomb while defended by the minor deities Thanatos and Hypnos. When the Bronze Saints attack his tomb, he returns into his body. Unlike his brother Poseidon, Hades could use all the power of his Divine Cosmo. Pandora is Hades’ sister in this life time, at a young age, she opened the box that was sealed by Athena and released Hypnos and Thanatos. She was told that Hades will become her brother and she must protect him till the final battle begins. She commands the first wave of Spectres to attack the Sanctuary in the name of Hades in the final chapter. She was given a necklace that allows her to travel through different realms and has a complex relationship with Ikki due to their past regarding Shun. Hypnos, is the personification of sleep and slumber. In the same way as his twin brother, seemingly doesn’t need a human body as a vessel for his soul. When he was freed by the infant Pandora, Hypnos’ soul emerged from the box, and didn’t materialize, it stayed ethereal. Even so, he seems to possess a physical body of his own, in the same way as Athena or Hades, and the ability to materialize, as the Bronze Saints were able to hurt him physically with their attacks. Saint Seiya: The Hades Chapter – Elysion (聖闘士星矢 冥王ハーデス エリシオン編), also known as Knights of the Zodiac, is a manga series authored by Masami Kurumada, and later adapted to anime. The story follows five mystical warriors called the “Saints” who have adopted various constellations as their guardian symbols. The anime series won the Animage Anime Grand Prix prize in 1987, but was cancelled in 1989 due to low ratings of the manga and anime. 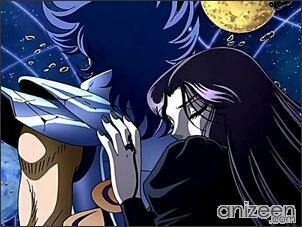 In 2002 Toei produced Saint Seiya: Hades, which continues adapting the manga story arcs that remained pending to be adapted to animation when the anime was cancelled in 1989. A new Hades OVA start airing in March 7, 2008.